The 2018 SACNAS National Conference will be held October 11-13, 2018 in San Antonio, TX. The SACNAS National Conference motivates, inspires and engages participants to achieve their highest goals in pursuing education and careers in STEM fields. 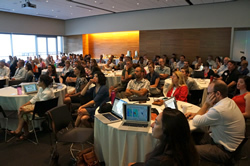 Conference programming is specifically tailored to support undergraduate and graduate students, postdoctoral researchers, and career professionals at each transition stage of their career as they move towards positions of science leadership. 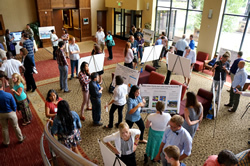 Student research presentations applications will be due in mid-July 2018. The 24th International Symposium on Society and Resource Management (ISSRM) will take place on June 17-21, 2018 at Snowbird Resort, near Salt Lake City, UT. 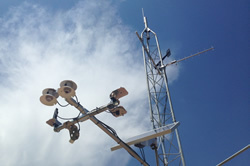 ISSRM is a venue for presenting cutting-edge research and engaging in productive discussions focused on the sustainable management of natural resources. 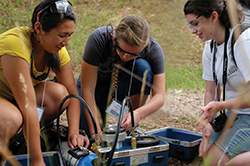 ISSRM is sponsored by the International Association for Society and Natural Resources (IASNR), an interdisciplinary professional association open to individuals who bring a variety of social science and natural science backgrounds to bear on research and application strategies pertaining to the environment and natural resource issues. UWW Tier 1 training will be held at Park City, Swaner Preserve and Ecocenter - 10am - 1:30pm. Learn the basics of water quality, simple skills to monitor a local lake or stream and help support the statewide monitoring network. Join us for a refresher or as a new volunteer. For questions, contact us at 435-797-2580 or email waterquality@usu.edu. Celebrate Water Week, an annual educational campaign designed to provide public awareness and involvement in water issues, both locally and globally. 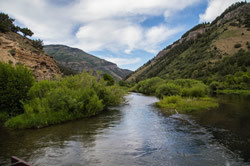 Participate in a local water events and activities, including volunteering to do Water Quality Monitoring with Utah Water Watch. Learn more about water and how you can help ensure water for the future. UWW Tier 1 training will be held at Salt Lake City, Glendale Library - 10am - 1:30pm. Learn the basics of water quality, simple skills to monitor a local lake or stream and help support the statewide monitoring network. Join us for a refresher or as a new volunteer. For questions, contact us at 435-797-2580 or email waterquality@usu.edu.